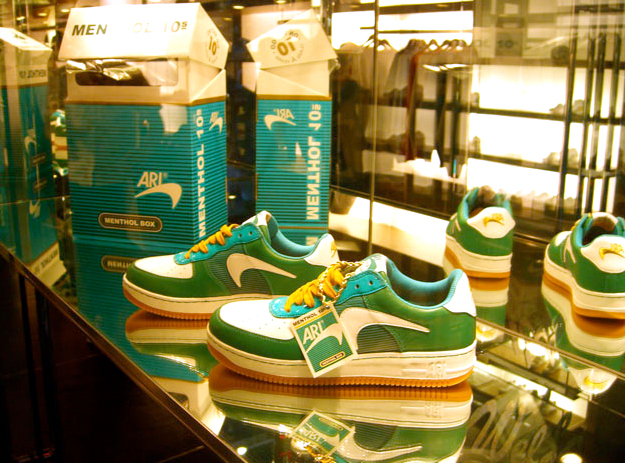 The Nike symbol (their “swoosh” logo) was designed in 1971 by Carolyn Davidson. 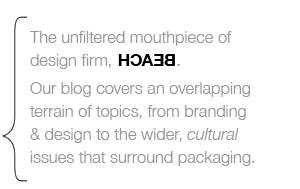 Think: curvy checkmark, fluid motion, sports. 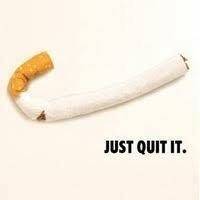 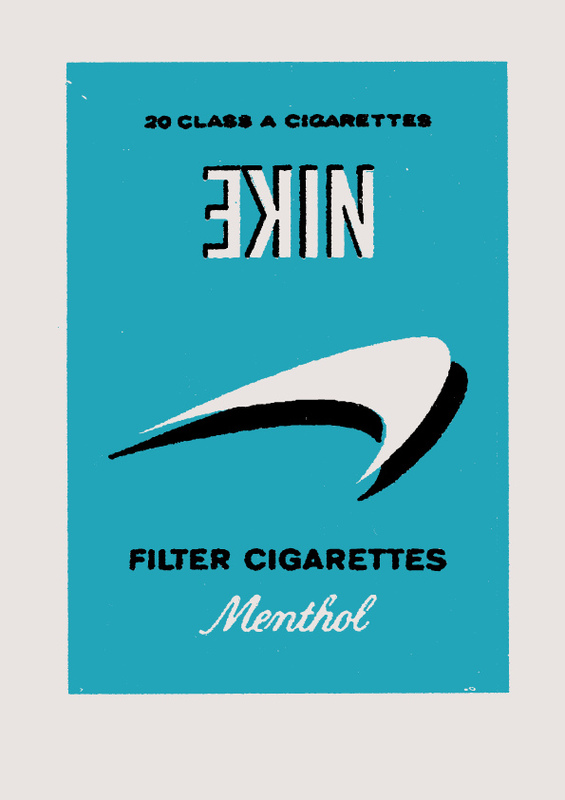 I was wondering: has anyone ever mashed it up the other way round—as Nike Cigarettes? 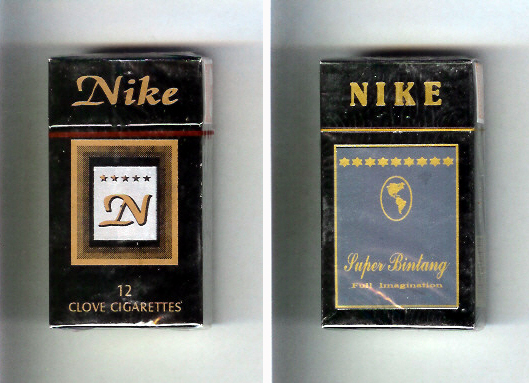 There is an Indonesian brand of Nike Cigarettes, although their package design includes neither a spinnaker nor a swoosh logo. 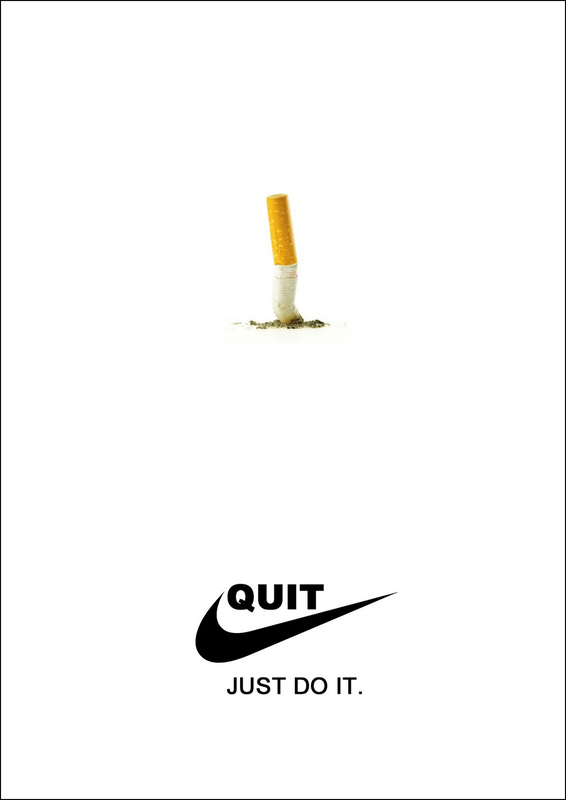 There are, however, some anti-smoking ads which clearly reference the Nike “swoosh” logo as well as their “Just Do It” tagline. 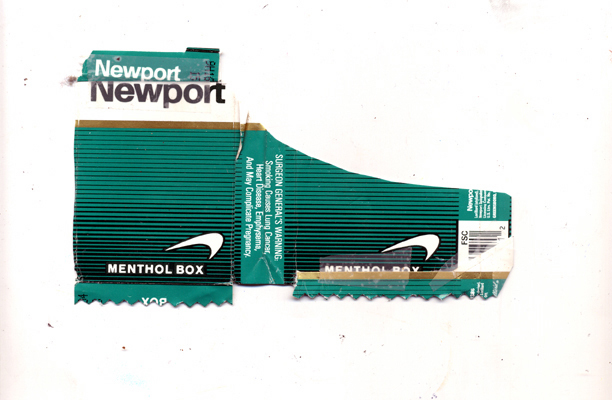 I don’t think that Newport offered an endorsement contract to Michael Vick, though.